After our appearance in Euroleague we are facing another international level game, but this time it will be in the domestic championship. 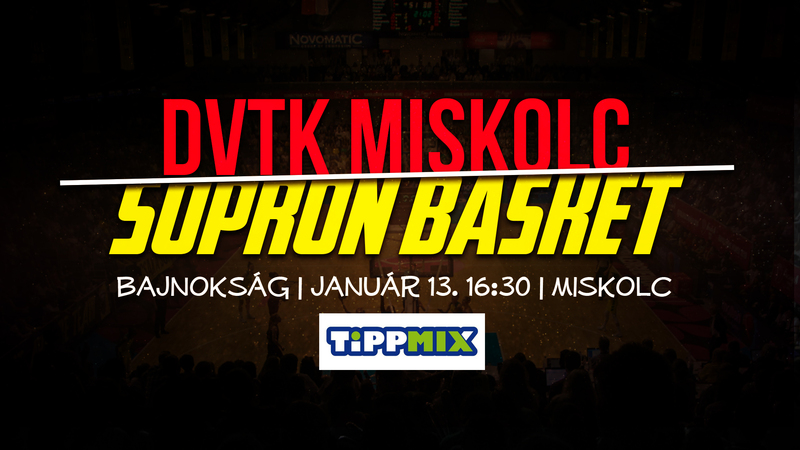 From 4.30 on Sunday we will play at the home court of EuroCup side ALUINVENT-DVTK, we will need to bring our A-game to be successful against them. At the beginning of the season in the second round the red and white team that is well put together didn't cause us many problems, but we knew it even back then - being aware of the ability of the roster and the coaching staff - that with time passing László Cziczás's team will become more and more mature in playing and have better and better chemistry. Recent months have justified that! They occupy the second place on the table right behind us, with the same record as ZTE NKK and Atomerõmû-KSC Szekszárd. They have only lost three times so far. One against us, one against NKE Csata to the surprise of many, and last time in Zalaegerszeg. However, they have beaten Szekszárd and emerged victorious in Gyõr, too. Egle Sulciute's injury has hit them hard before Christmas, but the perfect replacement for the Lithuanian star player was found very quickly with the signing of experienced Latvian national team member Aija Putnina, who has left Euroleague side Salamanca to join them. With her arrival the strong roster became even more complete, featuring the most efficient player of the league, Mokango. In Miskolc we have to take into account another powerful factor, the fanatic supporters, who always assure their favorites of their full support. Our team came up with a great performance on Thursday, that gives us reason to hope for even better with tougher tasks coming towards us. A reason to worry might be the absence of Betti Határ, and that our captain Zsófia Fegyverneky has been unable to do her full workout since December, and is at the team's service only in games. It is joyful, however, that Tina Jovanovic who has undergone two ankle surgeries was able to step on court against the French and was an important part of the jigsaw in a crucial win. Ahead of the derby in Miskolc we have talked to Debi Dubei about her expectations, but we have also looked back on some moments of the success on Thursday.